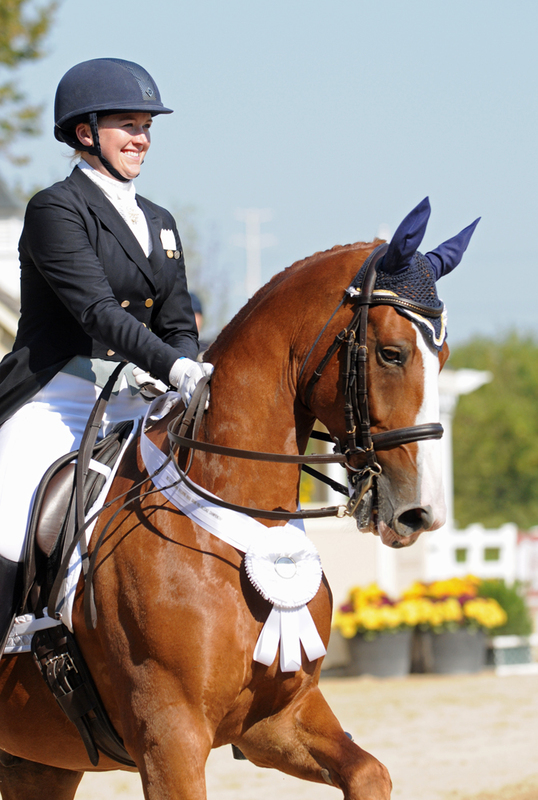 Lauren Sprieser’s international dressage career began with a bicycle. A family bike ride led to the discovery of a nearby stable, offering beginner riding lessons in the sport of dressage. Lauren’s mother, Judy, signed the pair up for lessons. Little did they know that less than 8 years later, Lauren would be representing her country for the first time in international competition. A student of Lendon Gray in college, Lauren competed three times at the North American Young Rider Championships, earning Team Bronze in 2003, and Team Gold in 2005, placing as high as fifth individually. She was also successful in the U25 ranks, qualifying three horses for the National Championships, including one made completely from scratch, all before her 25th birthday. With a semester while in college spent working for 3 time Olympic Gold Medalist Monica Theodorescu and her Olympian father Georg, Lauren knew horses were more than just her passion – they were to be her career. Upon graduating from Sarah Lawrence College with studies in Public Policy and Urban Planning, Lauren spent a year as a working student for several exceptional trainers, including Olympic Bronze Medalist Carol Lavell, before setting up her own business in Marshall, Virginia in the fall of 2007. After two difficult years of rebuilding, 2019 will be an exciting year for Lauren. The Elvis Syndicate’s Guernsey Elvis has made his FEI debut, with top scores and placings at Prix St. Georges, and will be aimed at the Developing Prix St. Georges Championships for 7-9 year old horses. Lauren and Beverley Thomas’s Ellington will dabble in the Five-Year-Old divisions while developing into a top shelf FEI horse, and Lauren looks forward to campaigning a few client horses as well while her own Gretzky RV masters the FEI work for a 2020 competition debut. In addition to riding and training, Lauren has become a popular social media figure. She is an extremely popular blogger for national equestrian magazine The Chronicle Of The Horse, and writes regularly for magazines like Dressage Today and Practical Horseman. She also has an avid following on Facebook and Twitter, and is particularly gifted at promoting her sponsors in creative ways, through marketing campaigns both online and at her Virginia farm. Ambitious, talented and gregarious, Lauren Sprieser is one to watch.